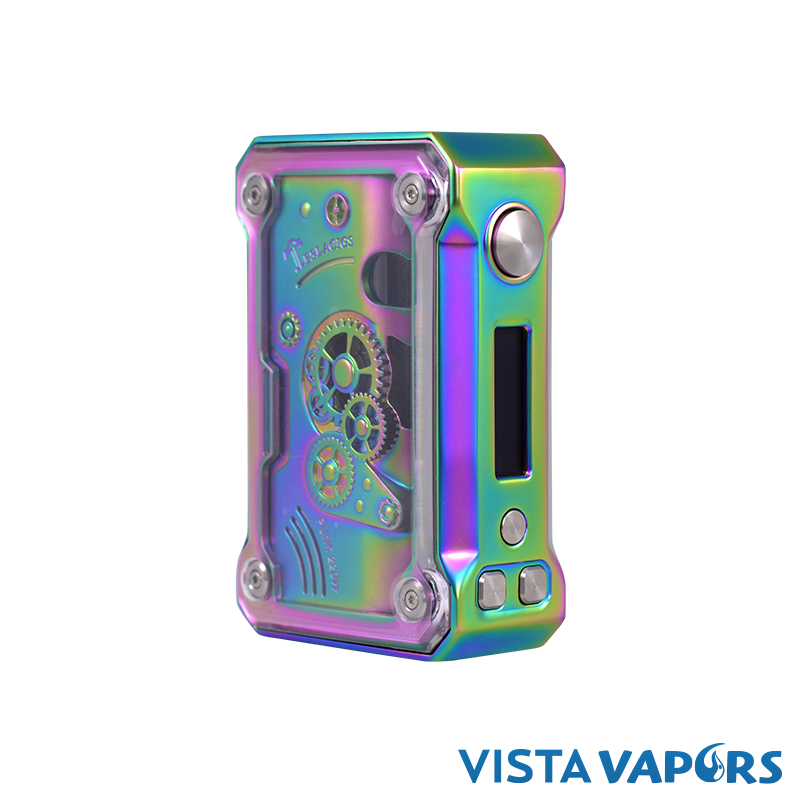 Even more new Vape gear at VistaVapors! We hit you a couple of weeks ago with a short list of awesome new products featured at VistaVapors.com, and we're right back at it this week! We've still got hundreds of vape juice flavors for you to enjoy, and now we've got even more new hardware for you to vape your favorite juices! Check them out! 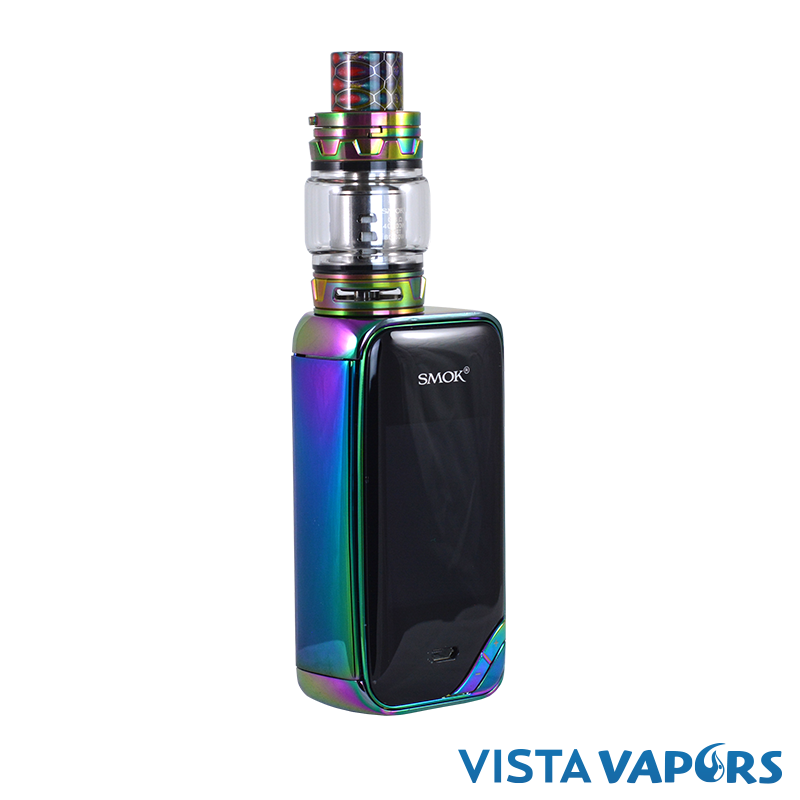 Smok is constantly finding ways to innovate on their already industry-leading product lineup, and the X-Priv Kit is no exception! In years past, as Smok has dropped their newest dual-battery kits, they've held a very similar form-factor and user interface. However, last year they updated their interface with the ProColor Kit, but kept the same form-factor in place. Well, they've done it again! Featuring the exact same form-factor that you've gotten so accustomed to seeing, the X-Priv now features buttons away from the screen for an easier time reading the display as well as an update on the tank! The X-Priv Kit features the new-and-notorious TFV12 Prince tank which is the perfect tank for any vaper that needs a lot of juice, and loves throwing some serious clouds! 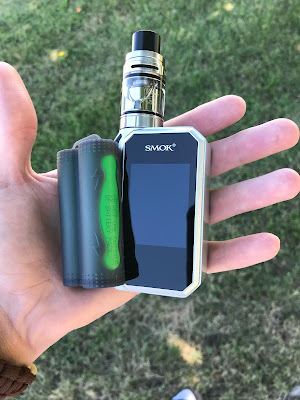 If you're a fan of Smok products, you've found your next kit! AIO (All-In-One) pod systems are all the rage of the vaping universe right now, and for good reason. They're generally very compact, they're very easy to vape with, and most notably, they require zero extra-effort to set up. Simply fill your pod, put it in the device, and vape! The Suorin Drop is a perfect example of a high-functioning pod system, as it is both reliable and is super compact! 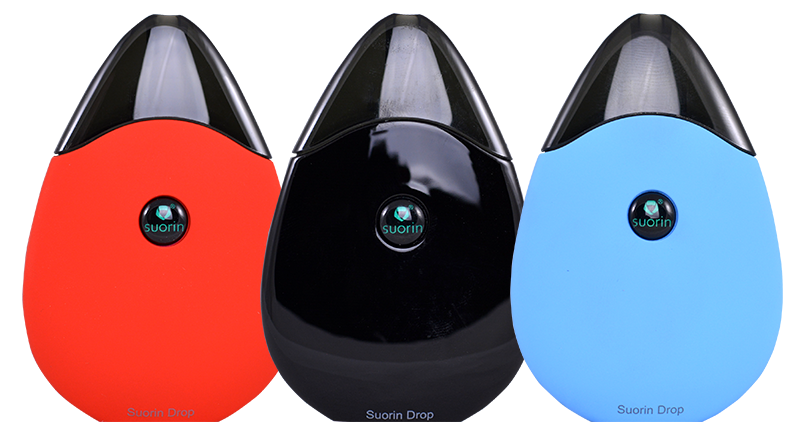 Featuring an efficiently-wicking coil and a smooth draw, the Suorin Drop is a great mouth-to-lung device for any vaper, and it looks cool, too! The Teslacigs Punk 220W Temperature Control Box Mod is one beautiful piece of technology! Featuring clear glass walls, as well as an RGB LED switch-function, the look of the device is second-to-none. On top of the look, the functionality of the mod goes well beyond the usual run-of-the-mill features. It has temperature control capabilities with Ni200, Titanium, and Stainless Steel, as well as TCR and Taste settings for maximum customization. Step into a world of style and tech with the Tesla Punk 220W and bring your vape to the next level! These are just a few of the newest hardware pieces featured at VistaVapors! If you're interested in seeing more of our product lineup, we welcome you to head to our Hardware page! We look forward to packing your order! VAPE ON! Today's blog is all about sub-ohm tanks; here at VistaVapors, we love ourselves some sub-ohm tanks! Our passion for making high-quality and flavorful vape juice was made even more passionate by the evolution of sub-ohm tanks, and today, we can't wait to share with you what we think are the best sub-ohm tanks of 2018! We'll start with Number 3 and work our way to Number 1! How to Take Care of Your Vape in the Summer! If you're like those of us that reside in Minnesota, you look forward to summer the way a dog looks forward to its evening treat! While you're wagging your tail for all this summer fun, keep in mind there are a few extra steps you'll want to take to make sure your vape and vape juice don't fall victim to the heat and you're fully prepared for your adventures in the sun! In today's blog, we'll go over some of those steps and get you all set for the summer months! 1. Bring Extras - One of the most overlooked steps to prepare for summer fun is to bring extra coils, batteries, a charger, and if you're planning on being extra-active, an extra tank and mod. While it might add a little extra weight and take up some extra space in your pack, you'll be really pleased with yourself if something were to happen to your device. If you're only planning on being out for a short while, get yourself a battery case to bring an extra pair with you! Over the last 6 months, the American Cancer Society has changed its position on the harm of vaping products in relationship to traditional combustible tobacco, and it's good news for ENDS advocates. According to a recent statement released by the head physicians of the ACS, current-generation ENDS products, like vape juice, are, "markedly less harmful than combustible tobacco products" (1). 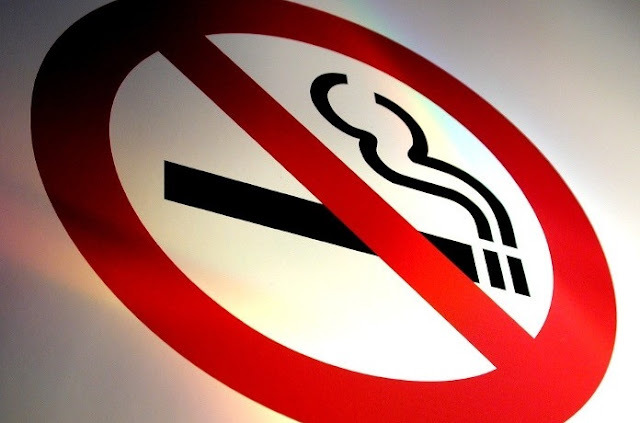 As described at the beginning of the report, the utmost priority of the ACS is to eliminate cancer caused by tobacco, namely cigarette smoking, which accounts for as much as 98% of all tobacco-related deaths in the United States (2). We are all aware of the well-deserved scrutiny that has been placed on cigarettes over the last several decades, with endless campaigns and warnings issued to encourage consumers to avoid using them, but there has been a recent surge of scrutiny of vaping and e-cigarettes as their popularity has risen. Vistavapors.com | Copyright 2018 VistaVapors, Inc.
Top 5 "Summer" E-Juice Flavors! New Vape Kits at VistaVapors!